Lorain County has been awarded GLRI (Great Lakes Restoration Initiative) grant funding in order to control invasive species throughout the Black River watershed. 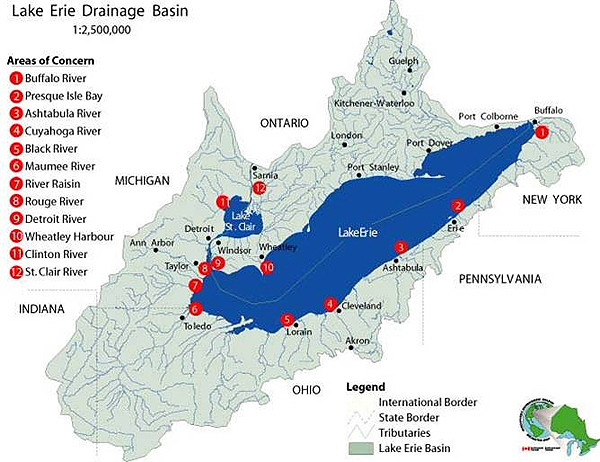 The Project is located in Lorain County, Ohio. 1.) First year biomass removal and herbicide spraying. 2.) Second year herbicide spraying and biomass removal. 3.) Native shrub planting and native seeding. The primary objective of the Project is to control invasive species throughout the lower Black River riparian area. Removal of invasive species is a key component to the success of restoration activities and the recovery of natural habitat in the Black River. Benifits to natural habitat will be quantified by demonstrating that a Project area has been treated for invasive species. The County Grant Administrator and Watershed Specialist will be responsible for the implementation of this Project. In addition, personnel from the County's selected contractor, Coldwater Consulting, LLC, will also carry out oversight and management functions.